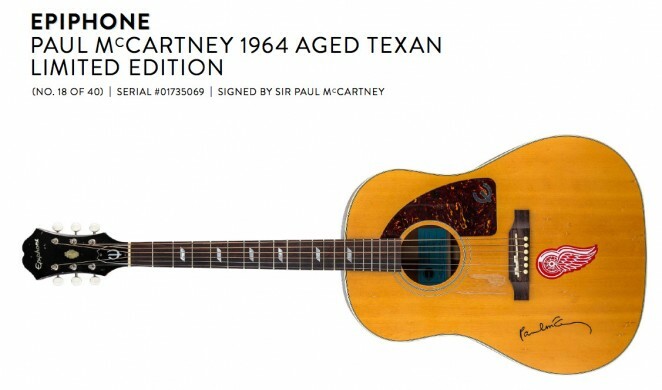 Earlier today we announced news of the sale of The 1.5 million dollar Vault Collection of rare guitars. It’s a private collection of guitars compiled over the years by Allans Billy Hydes/AMI Gibson CEO Con Gallin. 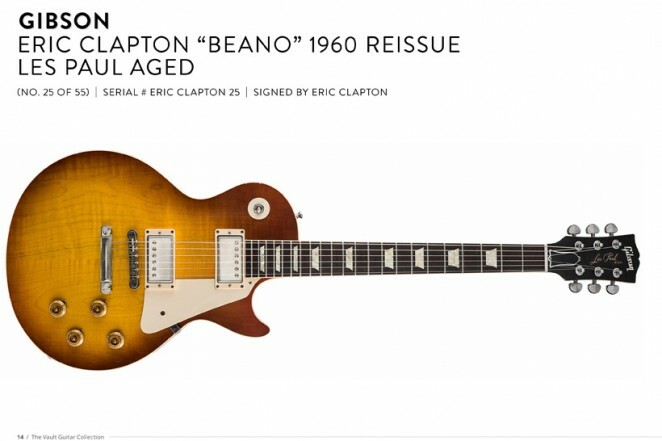 It’s a collection of limited edition signature guitars and other rarities, some with very personal connections to some of rock music’s most legendary players. 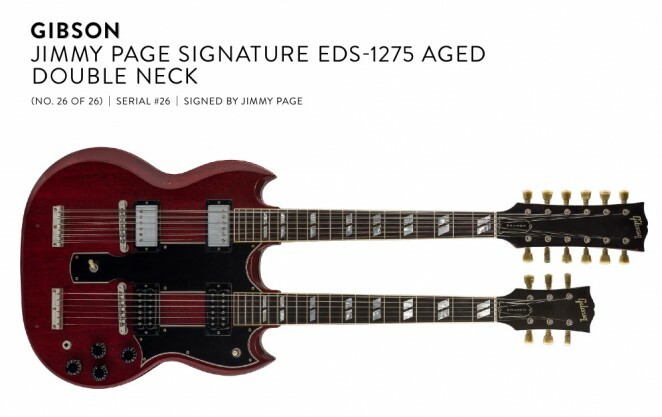 For instance, there’s the Gibson Jimmy Page Signature EDS-1275 Aged Double Neck guitar made famous by Jimmy in the Led Zeppelin days. There were only 26 of these made and Jimmy owns No. #1 himself. The one in the Vault Collection is #26 of those made and is personally signed by Jimmy. 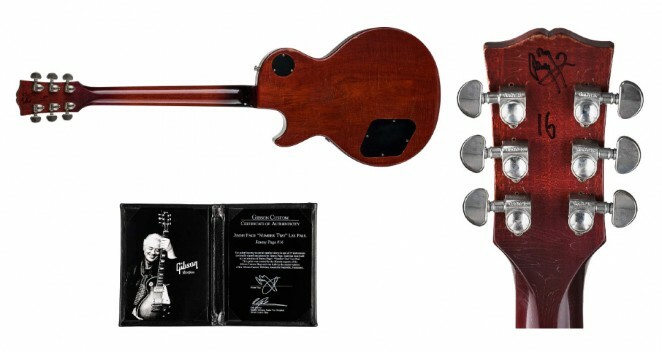 There are three other Jimmy Page models in the collection too including No. #8 of only 11 Signature Les Paul Custom Artist Proof models made. One of the signed Billy Gibbons signature models in the Vault collection is No. #25 of only 50 ‘Pearly Gates’ model Les Pauls. 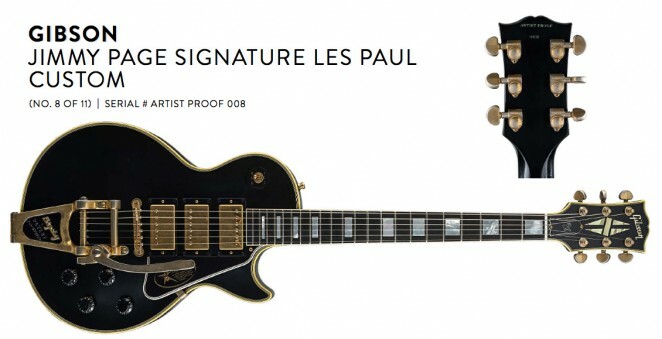 Another guitar with much historical significance but not directly associated with an artist, is a Robot model Les Paul from that line’s very first production run. If you’re a Les Paul fan, the Angus Young SG Standard Aged guitar might float your boat. It’s number #14 of 50. The collection is mainly made up of Gibson and Epiphone guitars, however there are also some other rarities and curios from Fender, Gretsch, and Martin. Unfortunately, the guitars are not being offered for individual sale but as a total collection at the asking price of 1.5 million. The impetus for the sale of the Vault Collection was a burglary at Gallin’s home where the guitars had been stored. He’d just come home from the launch of Support Act’s Bandwagon appeal, in which his company had donated a car, only to find his house had been broken into. None of the guitars in the collection were stolen but it was enough to make him think that this historic collection might best be in the hands of someone who would treasure them and keep them safe and sound. As to who in Australia might be able to afford the 1.5 million dollar price tag, Gallin suggests that there are plenty of music loving CEOs out there who would see the collection as a great investment. “Well there is still a lot of money here,” suggests Con. 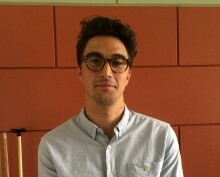 “You always hear of developers and other people who are doing really well. It might be a retiring CEO who cashes in their shares and is looking to invest their money in something. It’s not just a collection for someone who loves guitars, it’s a collection for someone with plenty of money but also wants a great investment. Who knows, someone like Nicole Kidman might want to buy it for her guitar-collecting husband Keith Urban,” he joked. Are you a complete guitar nut with a spare 1.5 Million dollars on you? If so, you might want to purchase The Vault, a private collection of some of the most valuable guitars in the world being made available by Allans Billy Hydes. 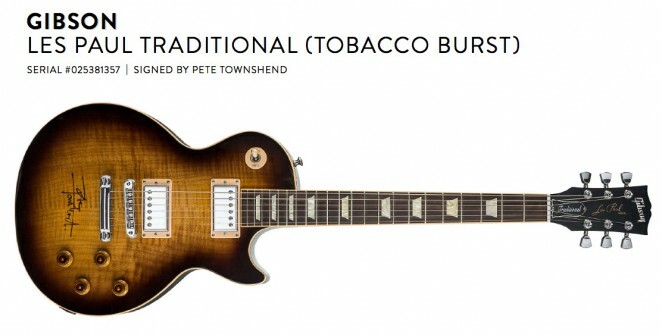 Featured in this collection, which is to be sold complete and not separately, are rare Gibson and Epiphone artist guitars from Jimmy Page, Eric Clapton, Paul McCartney, Don Felder, The Everly Brothers, Kiss, Billy Gibbons and other guitar greats. This collection is impressive as a whole, but each of the instruments will stand on its own. Having such a complete representation of amazing guitars available, with some signed and numbered by our heroes, make this offer a complete mind blowing experience for one happy owner. Australian Musician will bring you an update and further information, including comments from Allans Billy Hyde’s CEO Con Gallin soon. Mall Music’s Macquarie Centre has an amazing range of Maton guitars on display. Ricky Barton, Mall Music’s resident guitar expert show us what they’ve got in stock. Thanks to Joe Bonamassa for alerting us to this historic footage from the American Folk Blues Festival in the early 60s, which has been posted to YouTube. It features some of the greatest blues artists in music history including Sonny Boy Williamson, Muddy Waters, Lonnie Johnson, Big Joe Williams, Lightnin’ Hopkins, Sugar Pie DeSanto, Howlin’ Wolf, Big Joe Turner, Junior Wells, and Sister Rosetta Tharpe. Melbourne’s George Kalpa is excited to reveal a new self-directed video for his track ‘ksdb’, and in celebration, his debut album ‘Mode’ which saw release this October, has been made available as a free download until the end of the month. The video for ‘ksdb’ was directed by George Kalpa and produced by Gene Kalpa and INAWAY Productions. George’s short films have screened at film festivals around the world. He is currently working on the follow up to ‘Mode’, and has a new film in pre-production.